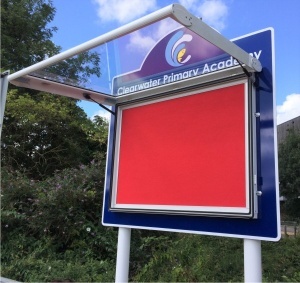 Based on a strong, durable 3mm aluminium composite backing panel our Supreme school notice boards feature a white powder coated lockable WeatherShield notice case fitted to the face to create a bespoke external school notice board. With an aluminium case & door the WeatherShield notice cases are hinged to the top and feature a tough fire rated polycarbonate glazing panel. 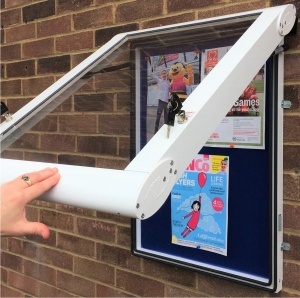 The notice case is certified to IP55 as being rainproof, it has a gas strut assisted opening door which opens to a full 90 degrees for easy access. 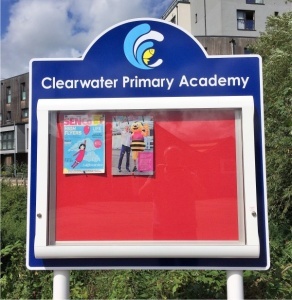 Featuring twin 3 lever grade locks the Supreme range of school notice boards is available in a range of 5 popular shapes and sizes. 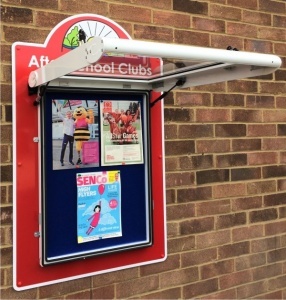 The supreme school notice board range is available for fitting to walls, metal posts and railings or supplied complete with a set of new aluminium posts. You can choose between 4 pin friendly coloured felt backing panels. 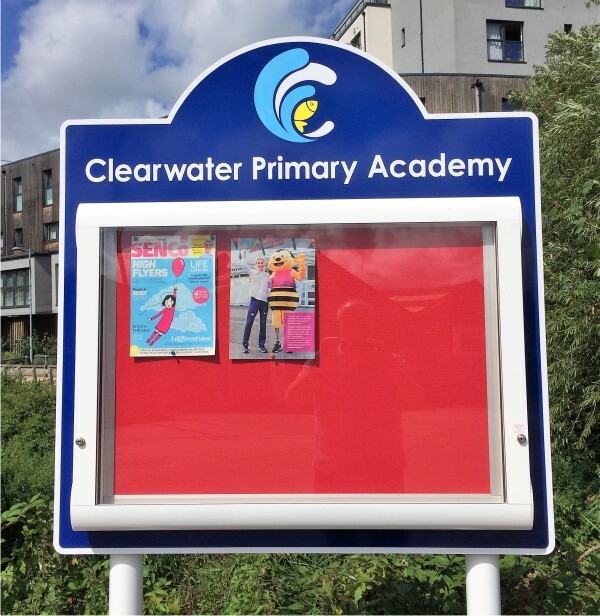 Comes complete with vinyl laminated and signwritten 3mm aluminium composite backing sign panel. 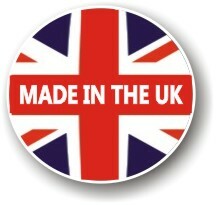 Suitable for existing metal railings, fences, gates and posts. 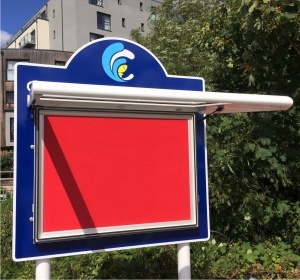 Comes complete full colour printed 3mm aluminium composite backing sign panel, radius corners, sign rail attached to the rear of the panel and suitable stainless steel fixings. 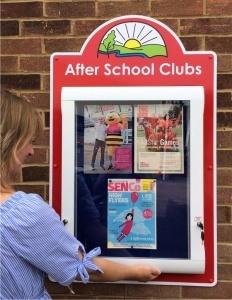 Comes complete with full colour printed 3mm aluminium composite backing sign panel, sign rail attached to the rear of the panel. 2 x 76mm diameter grey painted aluminium post 3,000mm in length, 2 x post end caps, 2 x anti-rotational sub-surface base plates and stainless steel post fixings.